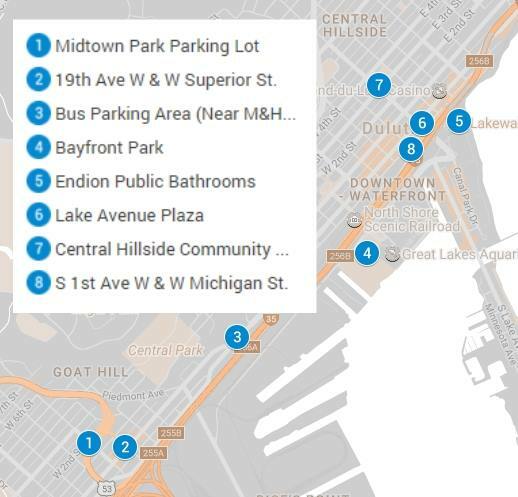 It took quite of bit of organizing and struggle, but the City of Duluth has finally agreed to set up half a dozen 24/7 port-a-potties around the center of town. It is also increasing the hours that some of its permanent bathrooms are open. This came about as a result of the efforts of the Homeless Bill of Rights Coalition and others. The campaign for more access to bathrooms was motivated by the belief that public funding for such things is the right thing to do, rather than ticketing the homeless, and others, for public urination, when they have no alternative. Here is a map with the location of the new bathrooms. Please spread it far and wide. And now that activists are not stopping at this. The fight continues for the passing of the Homeless Bill of Rights into local law, and for the creation of more permanent bathrooms.